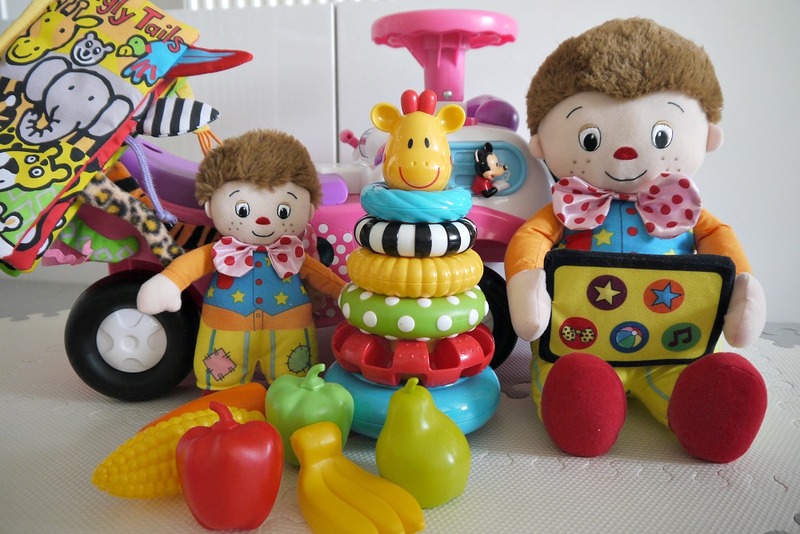 Toys, Toys, Toys it's going to be about the toys from now on the brighter coloured the better it seems for us! It seems our baby is no longer a baby...shes standing on her feet and she's walking across the sofa and TV unit most days and even throwing in a few jumps whilst holding onto the baby gate. She seems to love her toys and we are slowly introducing new ones. If you have missed my Christmas haul for her from TKMaxx/Homesense click here plenty of toys in the Christmas sack ready. 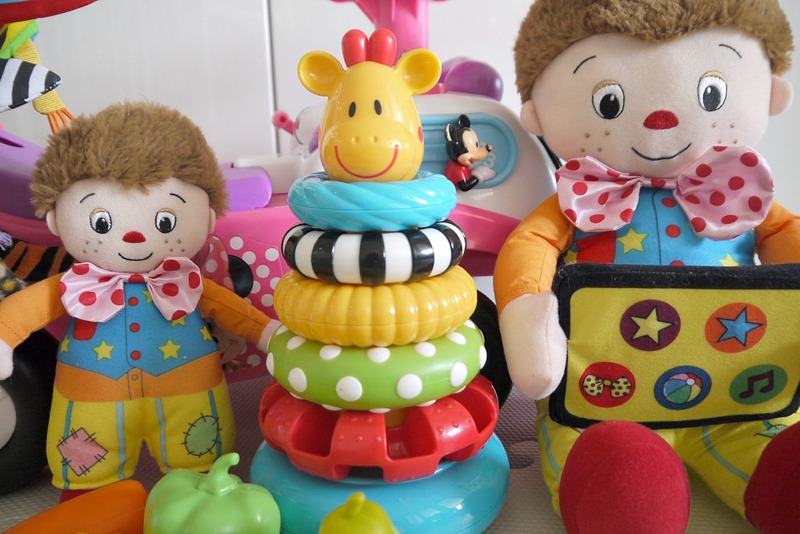 ELC Sensory Stackers from Boots that I picked up 6 months ago in the sale but they are doing 3 for 2 on toys right now so you can make some savings. I love how the ring is textured and she loves nibbling on them especially the giraffe head - highly recommended.. Right now she seems to enjoy knocking it over so not quite learnt how to stack yet so I think this one will last quite a while. We also have a Minnie Mouse ride on which is something we have been using the last few weeks. She's learnt to hold onto the steering wheel while we push her along - great fun! This particular one also honks, makes acceleration noises, refuelling noises and lots more. Mix of fruit and vegetables were brought from poundland again the colours are great and the texture provides sensory. I picked this up when I was creating a sensory box for her when she was around 6-7 months old and they kept her busy for a very long time. Perfect for when they are not moving about and only just able to sit up. Again it will last a long time and for £1 it's a bargain! 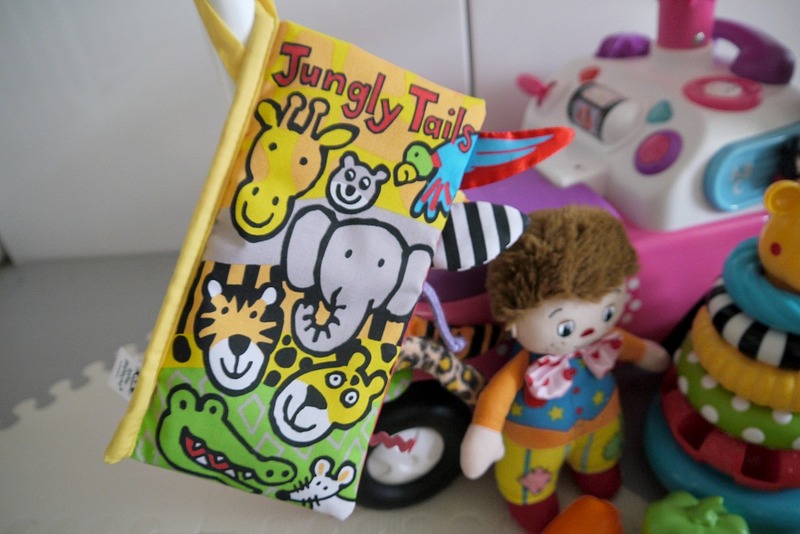 Jelly Cat books are so good, we picked up the Jungly Tails from John Lewis it's got sound and sensory with the different textured / coloured tails. We picked this up when she was 3 months and it can be stuck to the pram for when you are out and about. It would make a great gift for someone with a newborn and it's great value for £12. 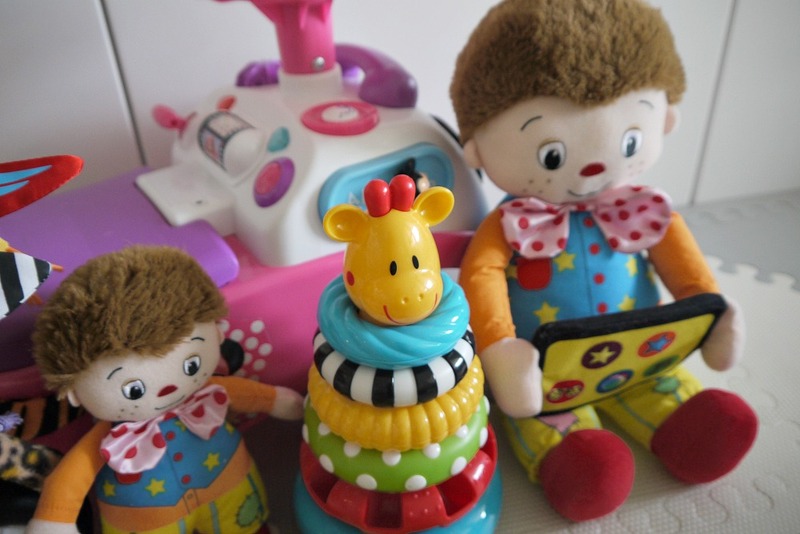 Lastly we have the very well known *Mr Tumble one of UK's most loved children's characters and Golden Bear have created a line of Mr Tumble toys that certainly are Something Special! Until recently I had no idea who Mr Tumble was and the guys in the office were educating me! This newly refreshed toy collection focuses on the core values of the much loved CBeebies show and features five key learning elements to encourage Touch, Sound Recognition, Light, Texture and Dexterity. This is perfect for our girls age where is is starting to pick up these things more and more in her daily play. 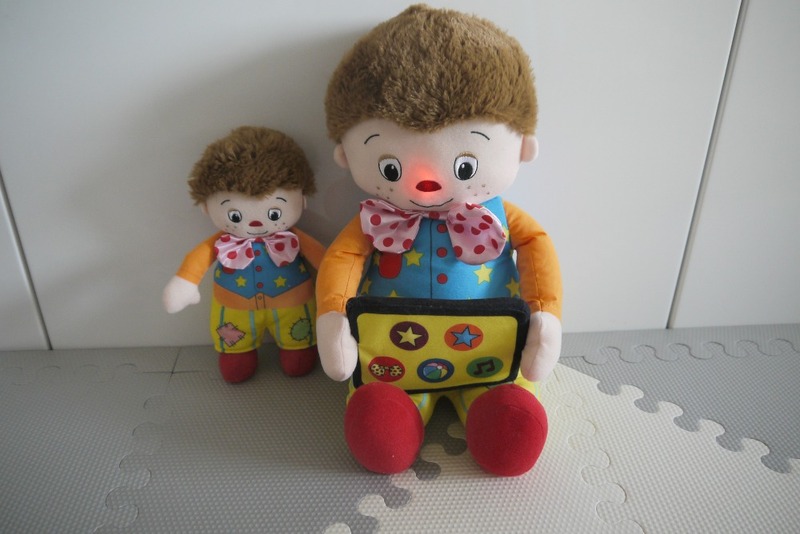 The large Mr Tumble on the right holds onto his Tumble Tapp and which each of the icons is pressed this activates some of Mr Tumble's favourite phrases and sounds from the show. It also has 2 songs for you to sing along to and at the same time his nose lights up as you can see in the photo above. I think for now she's learning to press the buttons but once she starts watching the show she will recognise it and hopefully get a little excited if she can sing along to the songs and recognises some of his phrases. The little on on the left is one she can carry out and about, again if you press the tummy you will hear certain phrases from the show. All these items would make great Christmas gifts for your little one or for someone with a kid around her age. With Christmas so close now there must be various discounts available online to pick up a bargain!